Statement of Mahinda: "During our regime there were no power cuts even for a second" -- subjected to debate in social media! 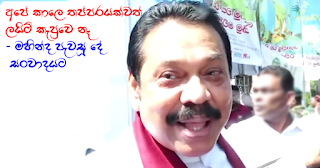 Responding to questions asked by media from Mahinda Rajapaksa who was present at an exhibition yesterday said that power cuts goes to show the inability of the government and that during his regime there was no power cut even for a second. 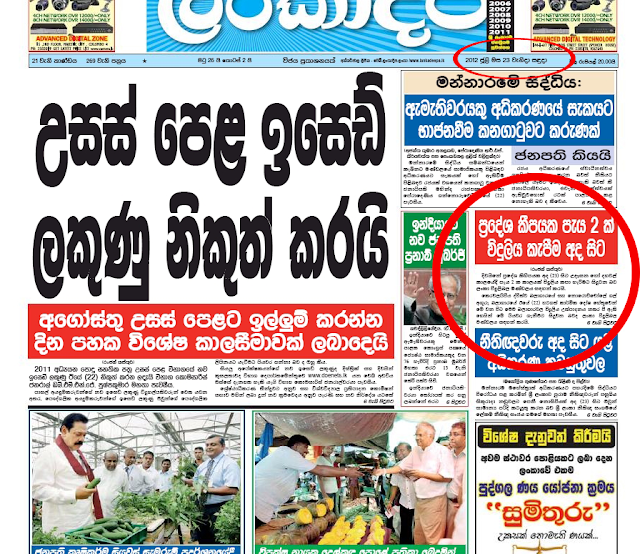 that sprang up in Sampur, Norechchole power station on a number of instances in the year 2012 during the Mahinda regime and it was mentioned in newspapers too at that time.